The New York Herald's weather forecast was right on the mark. Clear skies and pleasant temperatures around 70 degrees -- a perfect setting for Memorial Day in the nation's largest city. The streets were lined with spectators as an estimated 25,000 men, including divisions of the Grand Army of the Republic and veterans of the Spanish-American war, marched a bunting-lined parade route beginning at 57th Street and Broadway, running up Central Park West and eventually to Riverside Drive where General Adna Chaffee reviewed the troops before the Soldiers and Sailors' Monument. High school choruses sang "Nearer, My God, To Thee" and "America" as warships in the Hudson River fired a twenty-one gun salute honoring the veterans. The day was filled with activity throughout the city of over four million inhabitants. There were multiple parades, band concerts, family gatherings, the season opening of Manhattan Beach, and numerous sporting events including a double-header at Hilltop Park as the New York Highlanders (later to officially become the "Yankees") hosted the Washington Nationals (New York won both games, by the way). As the celebrations took place on this fine spring day, ships filled with immigrants steamed into New York Harbor bound for Ellis Island, just as they had for the past dozen years. 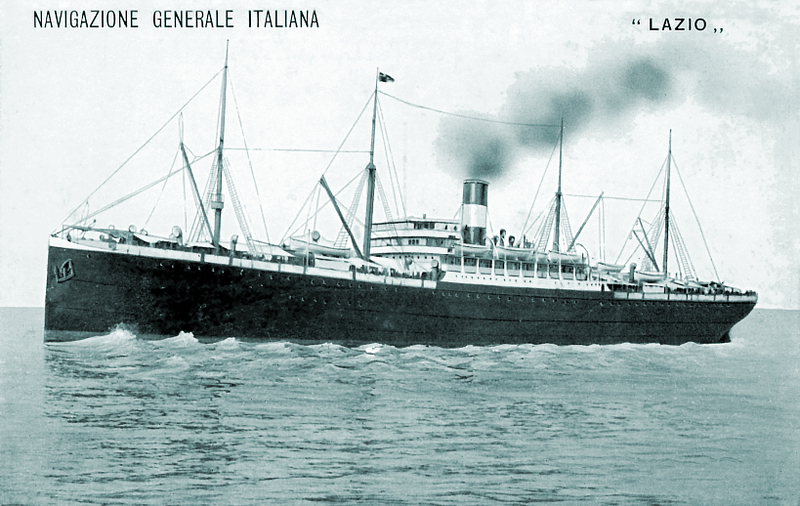 Aboard the SS Lazio, more than 2,600 passengers from Sicily and southern Italy were about to start a new life in America. Francesca Malatino's journey began three weeks earlier as she boarded the ship in Napoli with her younger brother Giovanni, 13, and her nephew Carmelo Malatino, 16. Years later, Francesca would recall the inclement weather and bad food she encountered on that crowded voyage to the United States. Perhaps the most daunting part of her arrival in New York was waiting in the claiming area for her brother Salvatore, who was a full day late (and on crutches) due to an accident the previous day. Difficulties of the journey notwithstanding, Francesca was now in the country she would call home for the next eight decades. Any photos of Francesca, especially those as a young woman. Memories of the house (or life in general) on Palmer Street, her garden, etc. Hobbies, things she used to say, cook, etc.